On August 7, 2014, I spent a long day on Panguingue Creek scouting, mapping, photographing, and taking notes on more than 30 pools to help identify the best representative study reaches for the remainder of our work. 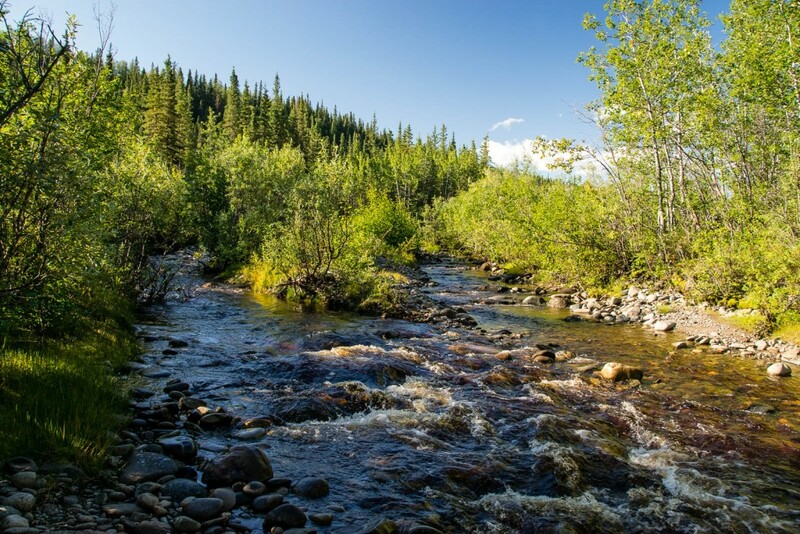 I brought along my fly rod and an underwater camera system to sample dolly varden and grayling and note their distribution and relative abundance throughout the creek. The previous day I had briefly investigated (and ruled out) other possible study sites to the south. 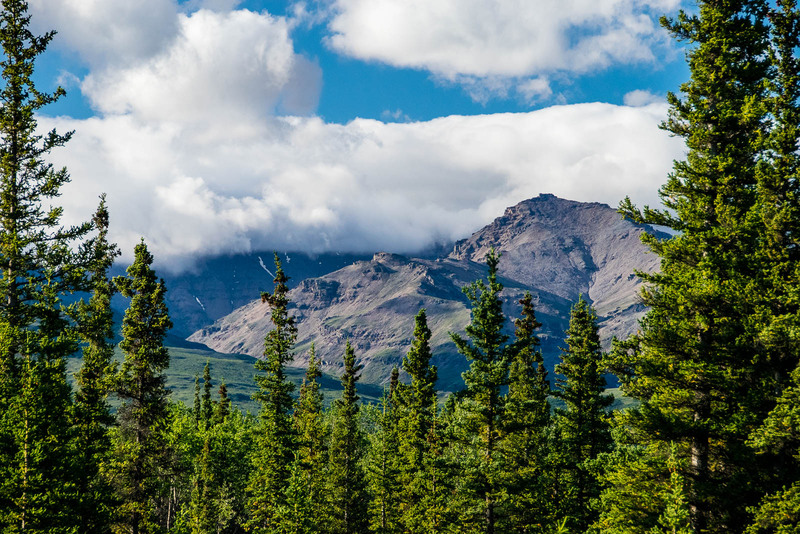 I car camped near Panguingue Creek along Stampede Road, where a wolf trotted past as I got ready to sleep, and a nice view of Mount Healy in Denali National Park greeted me in the morning. 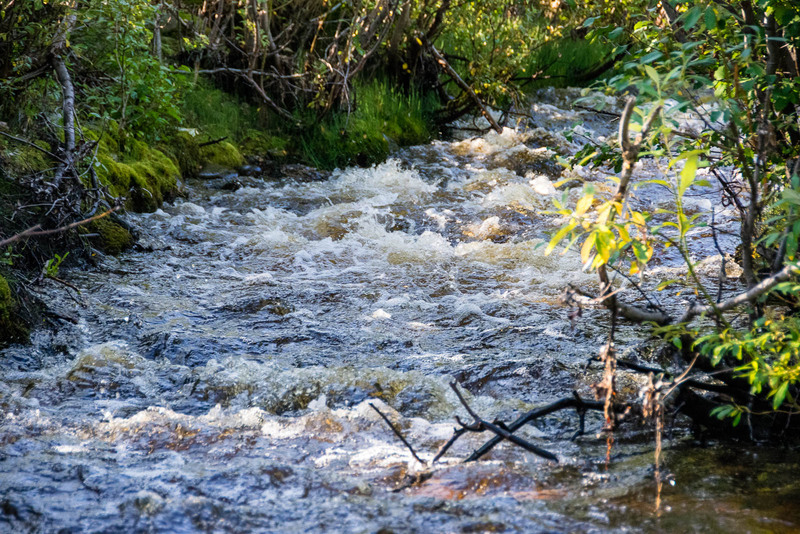 The water on Panguingue Creek was high and tea-stained from this summer’s incessant rain, complicating the already difficult wading on its substrate of slippery boulders and cobbles. Much of the stream flows too fast or too shallow even for the dwarf dollies we’re studying. Grayling were mixed in with the dollies, and they dominated the larger pools. They were all very small compared to what we see in the larger rivers, but it’s good for our study to test our foraging models across a wide range of fish sizes and species. 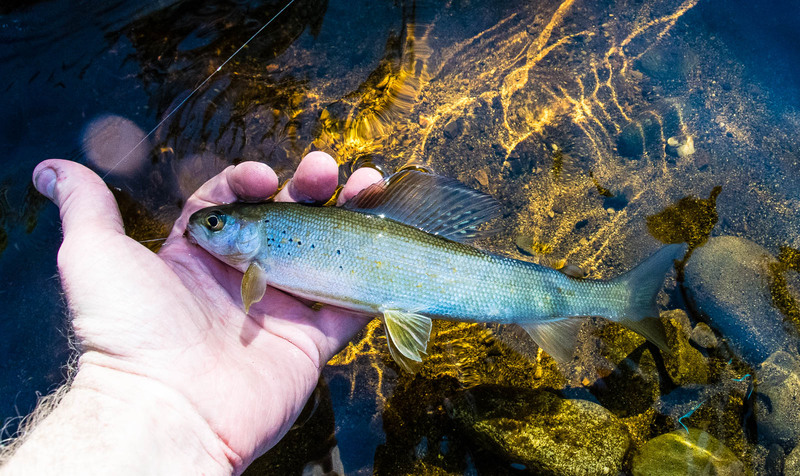 I caught enough dwarf dolly varden to get a good feel for their distribution and the sections of the creek where we can best study their behavior and habitat. 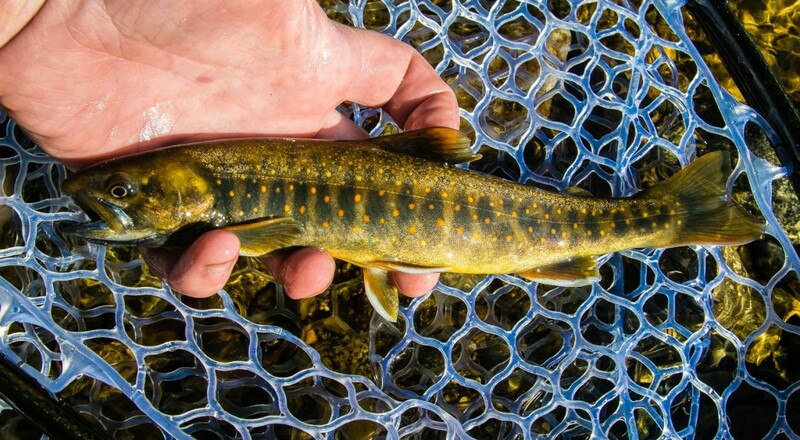 They are gorgeous fish, reminiscent of eastern Brook Trout, and even the very largest adults (like the 9.25″ male pictured below) retain their juvenile parr marks (dark vertical bars on their side). 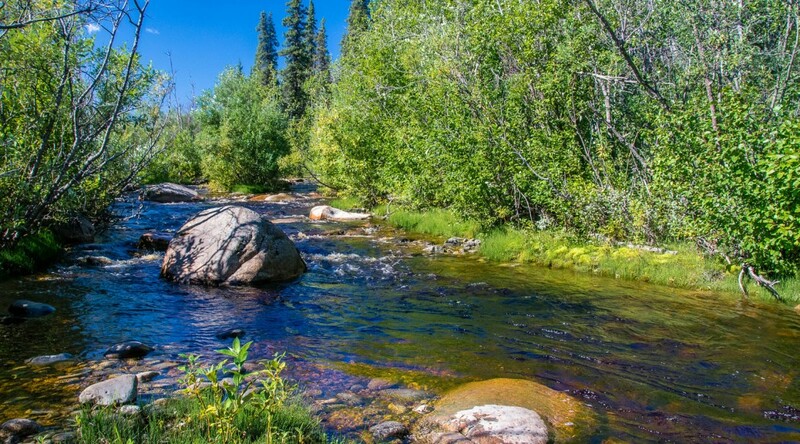 A reminder to any local anglers who see this post: This is a very small stream with a small population of dolly varden. It’s difficult to access and catch even a few, but if you do, please practice catch and release and handle the fish with care! They’re too scarce and beautiful to eat when there are ponds full of stocked char all over the interior Alaska road system. 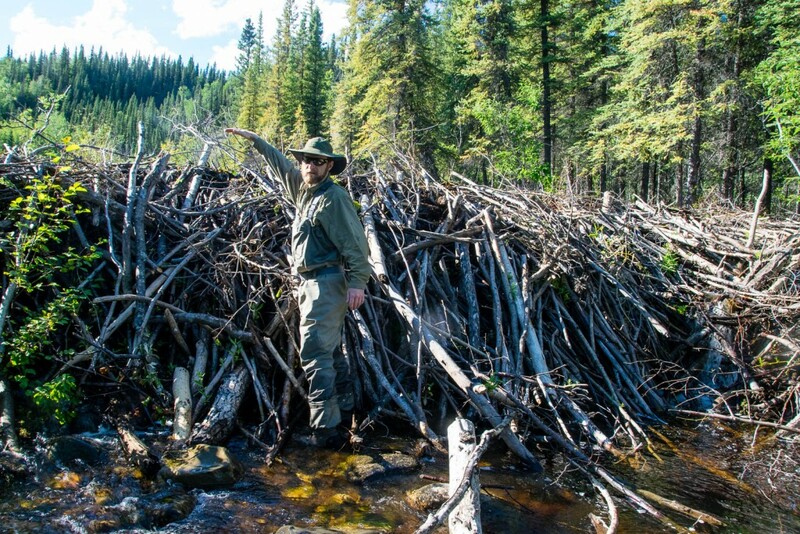 At one point, far from the road, a massive beaver dam blocks the creek… but there were fish both above and below it. 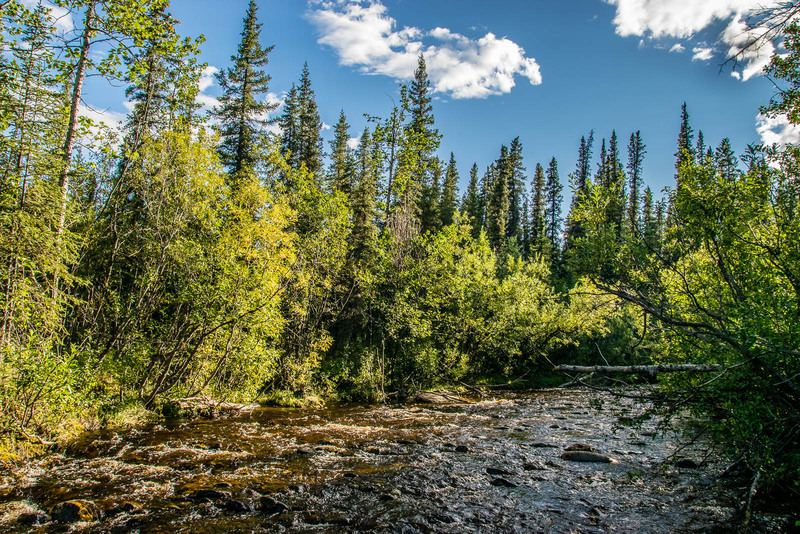 I returned to the car after more than twelve hours on the stream and an hour-long bushwhack out, with exactly the data we needed to focus the rest of our study productively.